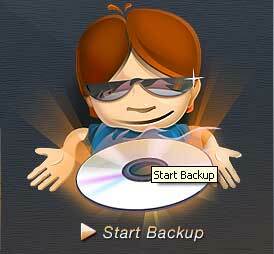 DVDSmith Movie Backup is DVD backup software for copying DVD to hard drive as DVD folder. You can use this software in conjunction with DVD burning software of your choice, to make a backup copy of any DVD video disc, or with Any DVD Converter Pro to convert your DVD folder to MP4, 3GP or other video formats for your iPod, PSP, mobile phones and many portable media players. DVDSmith Movie Backup can make perfect-quality backup copies of all your DVD movies using your own computer hard disk. It can keep the same sound & video quality when you backup your DVD movies with all the special features, menus, subtitles, and languages included. 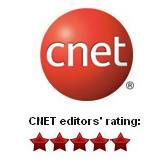 Within a few clicks of your mouse, your favorite DVD has been cloned and will be playable on your computer just like the original with free media players like SMPlayer, The KMPlayer and VLC Media Player and Media Player Classic. Newly released Movie DVDs like Harry Potter to Xoom, Wall-E, Sleeping Beauty, Iron Man, Disaster Movie, Bangkok Dangerous, can be easily copied to your hard drive with DVDSmith Movie Backup. How to Copy DVD to Hard Drive with DVDSmith Movie Backup? Copying DVD to hard drive with DVDSmith Movie Backup is extremely simple. With a few clicks, your DVD can be copied to hard drive as DVD folder and there won't be any quality loss. Below is the instructions of copying DVD to hard drive with DVDSmith Movie Backup. After all DVD copying settings are done, press "Start Backup" button to start the DVD copying process. In the main window of DVDSmith Movie Backup, there're two modes you can select Full Disc or Main Movie.